Okay I don't know if this is another thread already or if it's even allowed or advisable, but I wondered if we could used this to show the rest of the from what we look like, to put a face to a username so to speak. It would be nice knowing what everyone looked like . This is me today, happy because I was getting to go see a film. 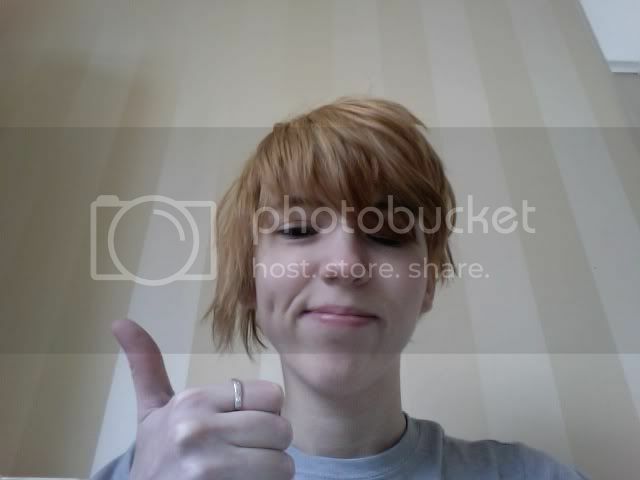 Yeah probably but I'm too lazy to log into Photobucket (plus I've forgotten my password!) and there's no other way to get a more up to date one of me on here-I have tried copying photos that are in my Pictures folder but they just come out blank. Does that work if you have a photo that is only visible to people on your friends list though? All of my photos are set to be visible to friends only. I tried that and nothing came up. I will take that as proof that I am crap with computers, which I knew anyway!